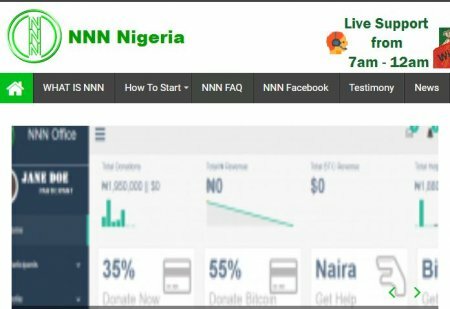 Barely three days after the alleged crashing of Mavrodi Mundial Moneybox popularly known as MMM, another Ponzi scheme has surfaced in Nigeria. Members of the famous money-doubling scheme, MMM were thrown into panic and great confusion on Tuesday, following the message from the ponzi scheme freezing all confirmed Mavros, otherwise known as money due for withdrawal for one month. NNN is a community of ordinary people, selflessly helping each other, a kind of mutual aid. This is the first sprout of something new in modern soulless and ruthless world of greed and hard cash. The goal here is not the money. The goal is to ACQUIRE AS MUCH AS YOU CAN, a statement on the NNN website reads. According to the website, NNN is owned by the participants, its a community by the people and for the people. A team of freedom lovers in America headed by an influential Yoruba man came up with a logic ad tested it offline in New York City in 2014. In September 2015, these men held a conference in VI Lagos where they introduced NNN logic. It was an improved MMM system- there will be no moratorium and the system will be automated.